WHAT EXACTLY IS A DRESSING STICK AND WHAT DOES IT DO? A dressing stick is simply a compressed stick of aluminum oxide abrasive. The grit size of a dressing stick can vary depending on the task that is required of it. 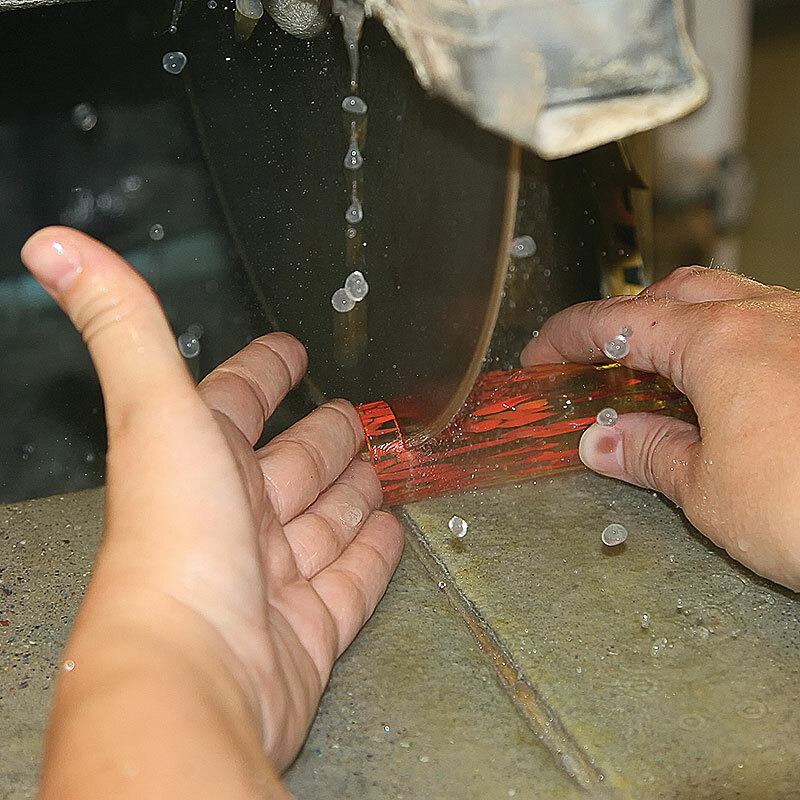 For dressing, or sharpening, a sintered diamond tool like a saw blade or a core drill, our 80 grit dressing stick is just abrasive enough to strip off a layer of used diamond from the tool and expose the next layer of fresh diamond with a single pass, essentially making your blade or drill like a brand new tool again. For keeping finer grit sintered diamond tools like sintered engraving wheels sharp, a finer grit dressing stick is often used to avoid damaging the precise tooling on the engraving wheel. Using an aluminum oxide dressing stick is simple and straightforward. For sintered diamond tools the dressing stick will remove a layer of the worn out diamonds from your tool and expose the next layer of brand new diamonds in the metal matrix. This is a great way to keep your tools running sharp and efficiently. For diamond blades, just make a thin single slice from the end of the stick. For core drills, simply drill into the stick once. A single dressing stick can last a very long time and keep your tools in optimum running shape for long term as well.